Bernd Ehle is a partner at LALIVE specializing in international arbitration. He has acted as counsel and arbitrator in more than 80 international arbitral proceedings brought under many of the major arbitration rules, including the ICC, SCAI, DIS, VIAC, LCIA, ICSID, NAI, KCAB, DIA and UNCITRAL rules, and governed by civil law and common law. Bernd Ehle’s practice focuses on complex, high-value disputes involving in particular major infrastructure and construction projects, joint venture agreements, M&A transactions and sales and distribution contracts. He has extensive experience in a broad range of industries, including energy (oil & gas, solar), telecommunications, life sciences, automotive, aviation and shipping. He also represents parties in arbitration-related court proceedings, especially relating to the setting aside of international arbitral awards before the Swiss Federal Supreme Court. Bernd Ehle has for several years been recognized as a leading practitioner by Chambers, Legal 500 and Who’s Who (both Arbitration and Construction). He is a Fellow of the Chartered Institute of Arbitrators (CIArb) and a former member of its European Branch committee. From 2007 to 2017 Bernd Ehle co-chaired the Geneva Group of ASA (Swiss Arbitration Association). He regularly speaks at conferences and publishes about international arbitration and construction law. Prior to joining LALIVE in 2003, Bernd Ehle practiced in litigation and commercial law with Graf von Westphalen in Freiburg i.Br., Germany (2000-2003). He studied law at the Universities of Freiburg i.Br., Heidelberg and Geneva from 1991 to 1996 before passing his First and Second State Examinations in 1996 and 1998, respectively. Bernd Ehle holds an LL.M. from Northwestern University School of Law, Chicago (2000) and a Ph.D. from the University of Heidelberg (2001). Sources describe Bernd Ehle as "very diligent and thorough." Bernd Ehle regularly acts as counsel on cross-border arbitrations. He has a noteworthy experience of construction disputes within the energy sector, as well as commercial disputes between ultra-high net worth individuals. One commentator describes Ehle as "very skilled" and a "really good addition to our team." He is also qualified in Germany and has particular experience of acting for German clients. “Absolutely excellent” arbitrator and counsel. He is highly regarded by peers and has experience handing a comprehensive range of commercial transactions in a broad variety of jurisdictions. Bernd Ehle is focused on international arbitration and has a strong reputation as counsel. He is also German-qualified and frequently advises on German law matters. Sources describe him as "analytical, strategic, very measured and polished." Peers “warmly endorse” Bernd Ehle for his strong expertise in international commercial arbitrations, particularly those relating to commercial transactions. The “well-respected” Bernd Ehle is experienced in disputes involving commercial transactions, and is described by clients as being “very efficient”. Bernd Ehle is “really outstanding: very energetic and equally efficient”. Geneva-based Bernd Ehle is "highly active in the arbitration community." He acts as both an arbitrator and counsel, has noted experience of German matters and has acted on arbitrations governed by German law. Clients spoke very highly of Bernd Ehle, citing his “very enthusiastic and professional attitude” and rating him “really outstanding". Bernd Ehle is an accomplished arbitration counsel. He is particularly skilled at handling transaction-related disputes as well as those involving the construction, energy and telecommunications sectors. Ehle has significant experience of handling disputes involving Germany. Interviewees are impressed by his strong capabilities on arbitrations, praising him as a "smart lawyer" with "fantastic writing skills." Peers are “proud to recommend” Bernd Ehle who maintains a “great reputation” in the field. He has acted as counsel and arbitrator in proceedings governed by various laws including Swiss, English, German, Turkish and Ukrainian. 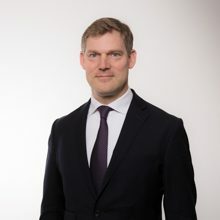 Bernd Ehle has acted as counsel and arbitrator under various procedural and substantive laws and is praised for his “breadth and depth of expertise”. "Smart lawyer" with "fantastic writing skills". Bernd Ehle is regarded as "an excellent strategist" and one source described him as "among the best of the new generation of experts". His clients are "proud to recommend him" and he is viewed in the market as a "brilliant and very disciplined lawyer". Sources are impressed by his strong abilities and management of multi-jurisdictional cases. In: Lukas Klee (Ed. ), International Construction Contract Law, 2nd ed. Amsterdam 13/05/2018 Bernd Ehle Speaker: New 2017 FIDIC contract – a step forward or simply a heavier work load for parties? For further information, see the programme and flowchart. Zurich 26/04/2018 Bernd Ehle Moderator: International arbitration – a play area for deceit, corruption, fraud and money laundering? Reykjavík 07/09/2017 Bernd Ehle Speaker: Expedited Procedures: Is Faster Always Better? For further information, see the presentation. For further information, see the invitation. Lisbon 07/05/2016 Bernd Ehle Moderator: Projects under pressure due to the oil price situation: is there any way out? For further information see the presentation. For further information see the programme and paper. For more information, see programme.